Each one of these factors can extend how long your workers compensation case takes. While there is not a hard and fast rule about how these factors affect how long your case takes, the information below provides a general discussion about how they can affect you. Sometimes, the insurance company will accept your case and pay you the benefits you should receive. This usually makes things go quicker. You receive temporary total disability benefits when you are unable to work and they also pay for the medical treatment you need. 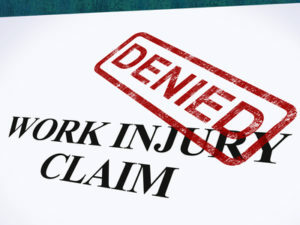 Unfortunately, workers compensation insurance companies often deny you benefits. They may deny your whole case or some specific benefit you are seeking. 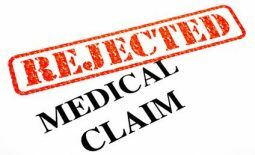 When the insurance company denies your benefits, you have to work to get approval for the benefit they are denying. You may even have to take them to court. Fighting with the insurance company takes time. It takes even more time if you have to go to court. Because it takes time, the insurance company denying some or all of your benefits is one of the factors that can extend how long your workers compensation case takes. You may not want your workers compensation case to end until you get the medical treatment you need to get you as good as you can get. Doctors often refer to that point as maximum medical improvement, or MMI for short. Not all injuries take the same amount of time to treat. More severe injuries often taken longer to recover from. If your treatment takes longer, it will take you longer to reach maximum medical improvement. The insurance company delaying or denying your medical treatment can also make it take longer. How does what type of work I do affect how long my case takes? We all do different types of jobs. Injuries affect people in different ways based on the type of work they do. A leg injury will keep you out of work for a long time if your job requires you to stand or walk a lot. If you spend a lot of time working at your desk like I do, then a leg injury might not affect you as much. If your injury makes it difficult for you to return to work, there is a good chance that your workers compensation case may take longer. The main way that workers compensation cases end is through settlement. Knowing how your injury is going to affect your ability to work in the future can be an important part of deciding whether and when you want to settle your case. Will my workers compensation case ever end? Workers compensation cases generally end through settlement, but settlement is not anything that you ever have to do. You can just leave your case open. If you do decide to explore settlement, you will want to make a good decision. The most important thing to understand about settlement is that it is almost always final, so you probably will not be able to change your mind once your settlement is finalized. If you want to learn more about settlement, I would recommend you read this article. The insurance company has paid you any permanent partial disability benefits to which you may be entitled. Can my case end if I wait too long? Yes. One way that your workers’ compensation case could end is when certain statutes of limitations run on your case. Georgia’s workers compensation law has many different statutes of limitation. These laws place limits on the time that you have to apply for workers compensation benefits. 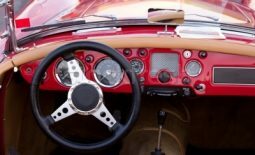 If those time periods run, then part or all of your workers compensation case may be over. What if I want more information about Georgia workers compensation? There are two easy ways to get more information about workers compensation. One is to visit our workers compensation blog where you can find articles about many different workers compensation topics. The other is to set up a free consultation with me where you can get some specific questions about your case answered.